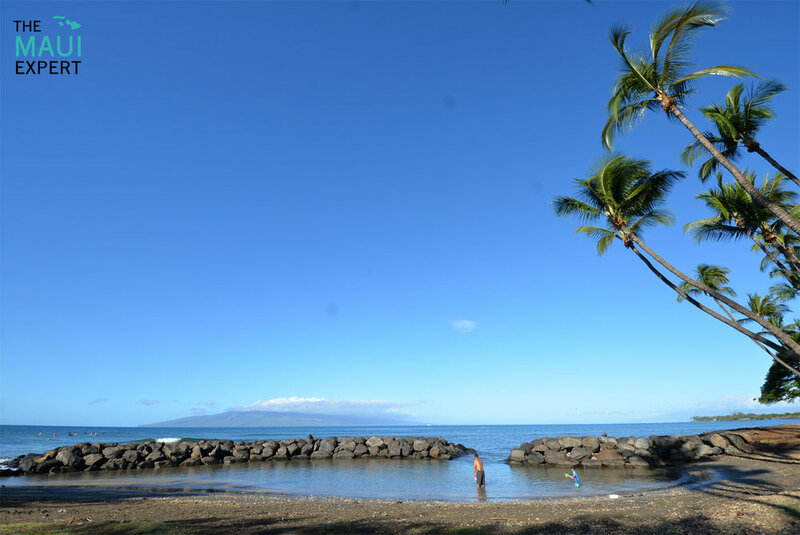 Overview: Located at the only stoplight between Ma’alaea and Lahaina, Launiupoko Beach Park is arguably Maui's most family-friendly beach. There's a protected wading area for small keiki, a sandy beach on the south end of the park, a wide, grassy picnic area with lots of natural shade, and numerous surf breaks that cater to beginner surfers and stand up paddlers. While weekends here can definitely be crowded, weekday mornings are serenely laidback, with surfers throwing smiles and shakas after scoring a glassy dawn patrol. Good For: Surfing, standup paddling, visiting with young children, barbecuing, sunset viewing, hosting your baby's first luau. Not So Good For: Swimming, snorkeling, the luxury crowd, or finding parking on weekends. Maui Expert Tip For Launiupoko Beach Park: For a nice little Saturday, start your day at the Launiupoko Farmers Market (which is right across the street from the beach), and sip on a locally grown and brewed coffee while nibbling fresh fruit before crossing the street for a relaxing morning at the beach. Directions and Parking Situation: Launiupoko Beach Park is located along Honoapi'ilani Highway about two miles south of Lahaina. There is a parking lot on the makai (oceanside) of the road—but it's usually full by 9am. If the parking lot is full, there's an overflow parking lot on the mauka (mountainside) of the highway where you'll need to wait for the world's longest stoplight before walking across to the beach.